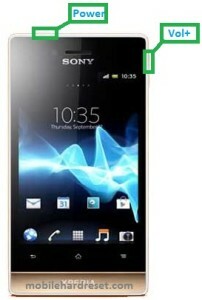 Step 1: First turn off your SONY Xperia smartphone. Step 3: Press and Hold Power key and Vol+ key 10 seconds. When you see in your mobile screen SONY logo release all hold key. Step 4: After sometime you got system recovery mode Use Vol  key select wipe data/factory reset and press Power key to confirm. Step1:First Turn on your Sony smartphone . 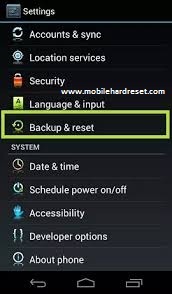 Step2:Touch and Press Menu ButtonGo To Setting Menu >> Scroll and select Backup & reset >> Factory data reset >> Reset phone >> Erase everything. 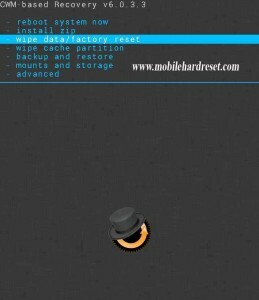 After factory reset your Tab will reboot.